Ovens and thermal processing systems are used in industries such as paint and powder for baking, curing, or drying components, as well as final products. 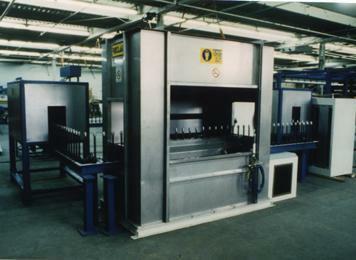 Powder coated parts are often cured in ovens. Casso-Solar designs, manufactures, and customizes infrared heaters and heat processing systems and industrial spray coating equipment for paint and powder finishing. We utilize the latest technology for our coating drying machine and spray coating machine. The quantity and type of coating would depend on the industrial application. 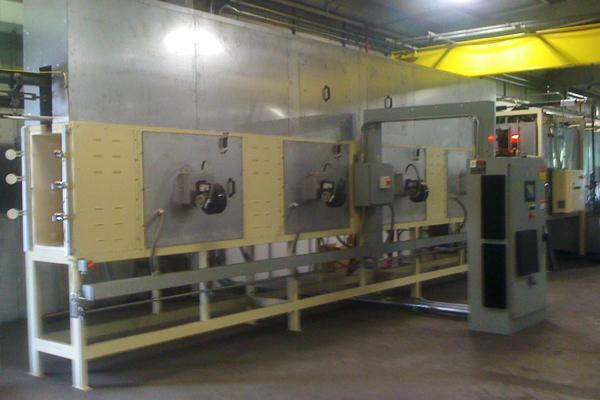 Pretreatment and primer coatings can be easily dried with Casso-Solar Technologies' electric infrared ovens. Required peak metal temperatures are reached on both sides of the metal strip. Casso-Solar Technologies infrared brings the part to temperature in 1/10th the time of a convection system, allowing for more time at temperature to cure or to increase production. Flat Belt Conveyor systems can be used to convey small parts, flat parts and other parts that are not appropriate for an overhead or spindle conveyor. Many configurations can be offered. Drying, curing and cooling sections possible. 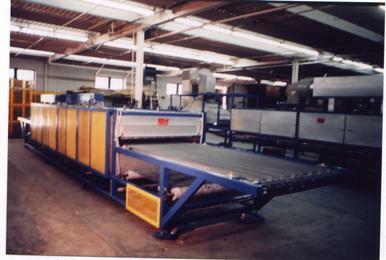 Chain-on-edge or spindle conveyors can hold a small part with a fixture and spin the part as it is coated and cured. Typical applications include automotive spin on oil filters, color coated light bulbs, cylindrical containers and more. 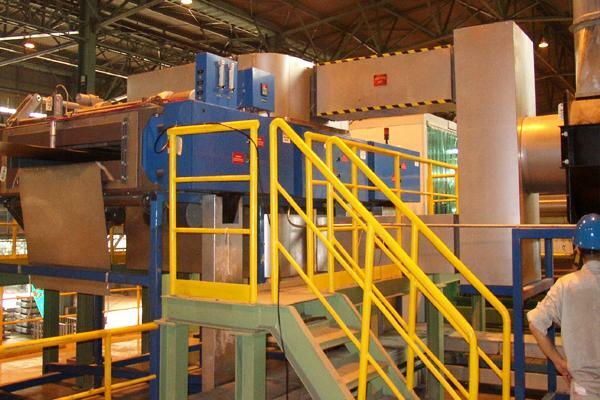 Over head conveyor systems are generally used to conveyor parts for washing, pre-treatment, paint/powder application and curing. For powder coatings, infrared preheat systems quickly bring the parts to temperature for a cure. IR can be added to existing convection ovens to enhance quality and increase production speed. We offer short or medium wavelength preheat and curing ovens and gas catalytic systems for the paint and powder finishing industry. We offer assistance when choosing a product based on our lab test results. Also, this can be in addition to your existing system and we offer the best solution in this regard, based on your requirements. Both infrared and convection heating are combined in these ovens and can be used on a need basis. 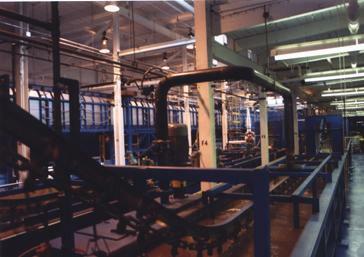 The processing time for most powders and coatings is less than five minutes. 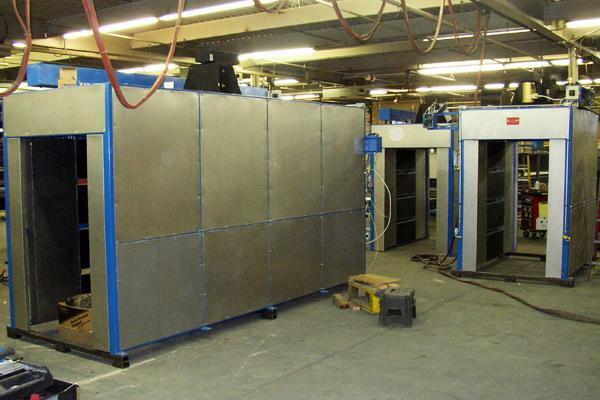 You can use these ovens to dry both water and solvent-based coatings. Our infrared heaters do not require reflectors as they are internally incorporated into the heater. This eliminates the need for maintenance as there are no reflectors to clean. Our equipment can be specially designed to be compatible with continuous coils, shaped products, flat metal, heavy castings, and many others. Liquid coatings offer an excellent finish with the help of the right spray coating equipment and nozzles. Our industrial spray coating equipment are extremely reliable when it comes to a smooth-finish application and curing of powder coats. Our advanced coating drying system design helps save on energy as well. Casso-Solar Technologies is one of the leading providers of high-quality infrared heating equipment and systems, and industrial spray coating equipment manufacturers in the U.S. We offer end-to-end services which include design, fabrication, installation, and maintenance. Over the years, we have served numerous clients from diverse of industries. High-quality machinery coupled with a prompt service has always been the standard at which we operate. Call us on 845.354.2010 to learn more about how we can help you with your coating drying system design for your paint and powder finishing needs.